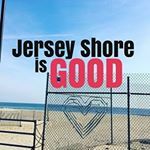 A social diary & hyperlical digital word-of-mouth for local organizations & businesses at the Jersey shore. We capture all the good that’s happening in our streets, in our parks, on our beaches, and in our waters. Lifestyle and goodwill influencer.